Your friends will ogle with envy at these rocket launchers, but they’ll ogle alone (fools) while you throw a bow wake off your chest & in a single sardonic HA!, look down & get down 20′ in 5 strokes. Now with Oolala Curvature (OllC) in each blade & Ultraflex Engineering (UfE), you get complete flex on each stroke, leading to rebound thrust & the next stroke. The most efficient fins in the world, these. 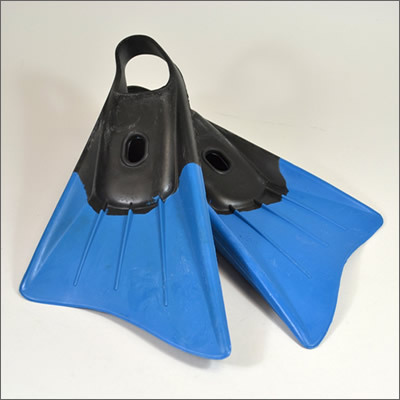 These are shoe fins (no booties) in sizes 3-4, 4-6, 6-8, 8-10, 10-12. Blue blades, black foot pocket. NOTE: As usual, I, Snorkel Bob, tried’em all. 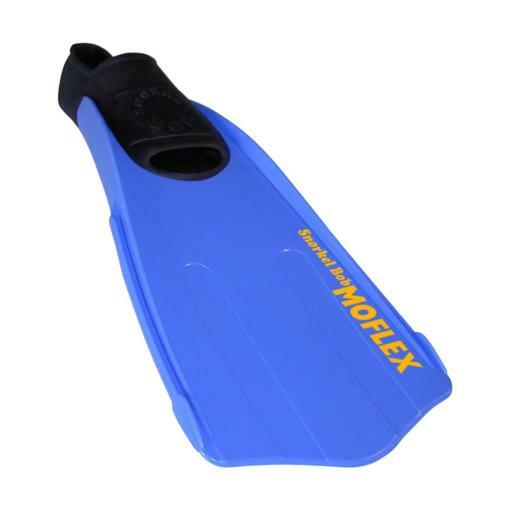 These MOFLEX™ Snorkel Fins are one more result of the largest snorkel research facility in the world. 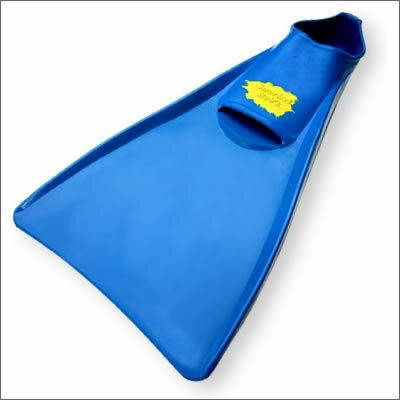 Like no other component of snorkeling, fins can fool you. MOFLEX™ combines design & engineering to yield the best fins available today. 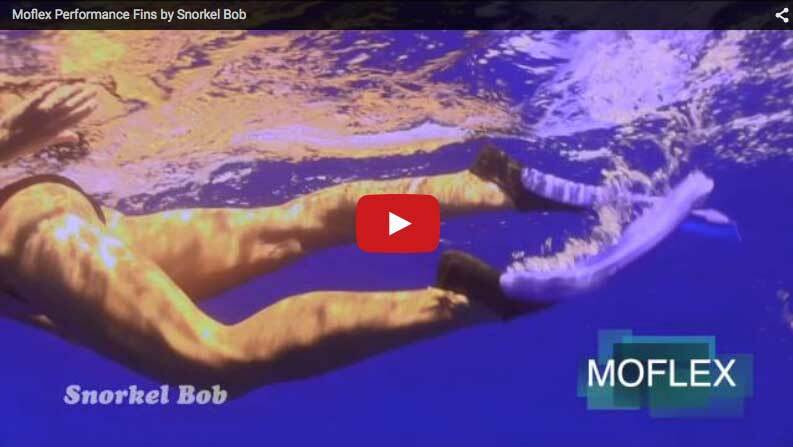 And I, Snorkel Bob, mean excellence in power-to-weight ratio, strength, tracking, BHP, torque, flex, separation, lift & spread. You will find this level of quality & performance cheaper nowhere.